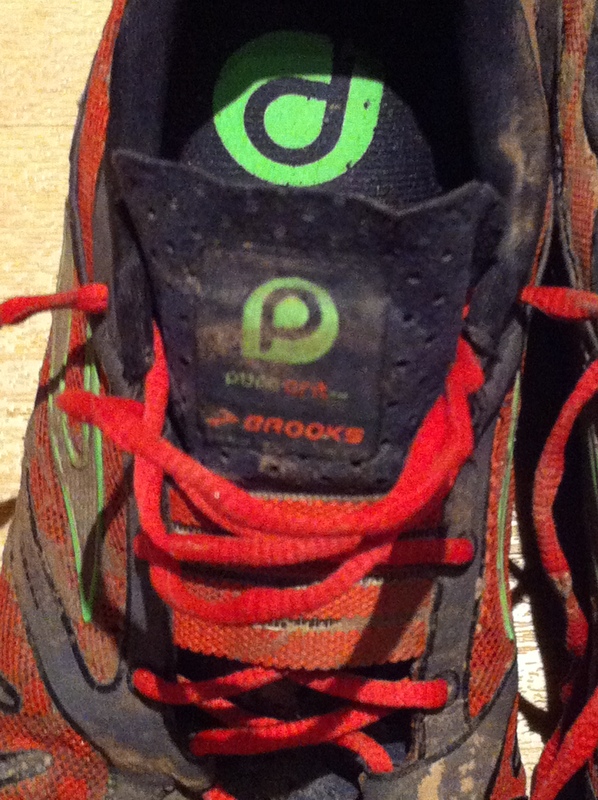 Pure Grit are part of Brooks Pure Project range. These are probably the most comfortable running shoes I have ever had. If they matched my suit I would wear them to work. There is something very natural about the way the front of the shoe is shaped. The Toe box feels wide and low, and your feet seem to splay very naturally. For me, when you put your feet in them it is the same feeling as putting your feet into your slippers. The heel is low, soft, and just fits, holding your foot without feeling stiff or aggravating your achilles. I have been looking for a good trail shoe for some time vith a view to running long distances on trails. I have tried various options. I got a pair of Salomon X trails but they had so much cushioning and support they felt like I was running on stilts and I always felt my ankles were at risk from falling sideways off them. 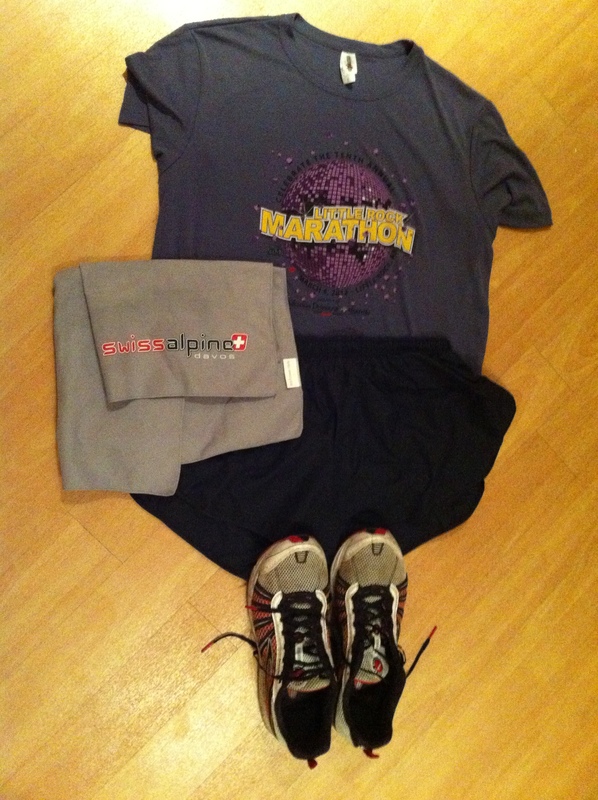 I also did a season training in Brooks Adrenaline ASR shoes which were ok, they were like Adrenalines with a trail sole. They werent great for technical stuff, got a bit soggy, and were a bit slow, solid and clumpy for my liking but were ok. I like Inov-8s. I ran the 53 miles of the Highland Fling in Inov-8 Terrocs, which worked suprisingly well even though I only wore them by accident, when I discovered on the morning of the race that the shoes I had neatly packed into a shoe bag were at home in Alloa and not in Milngavie where I needed them. Much as I love them for hills and bog, I have never been confident in my Inov-8s for long distances, even though I have a pair of roclite 365’s which are billed as being suitable for ultras. I did get a very good tip from Katie in Achilles Heel. She suggested putting a pair of cushioned insoles in my Inov-8s and that made a huge difference to how wearable they were over long distances. Back to the Brooks. They are a snazzy colour which always makes you go faster. The tongue is thin and soft which gives a nice fit without all the volume you sometimes get. The upper has a slightly hard synthetic mesh which does a good job at keeping rubble out and is pretty robust. 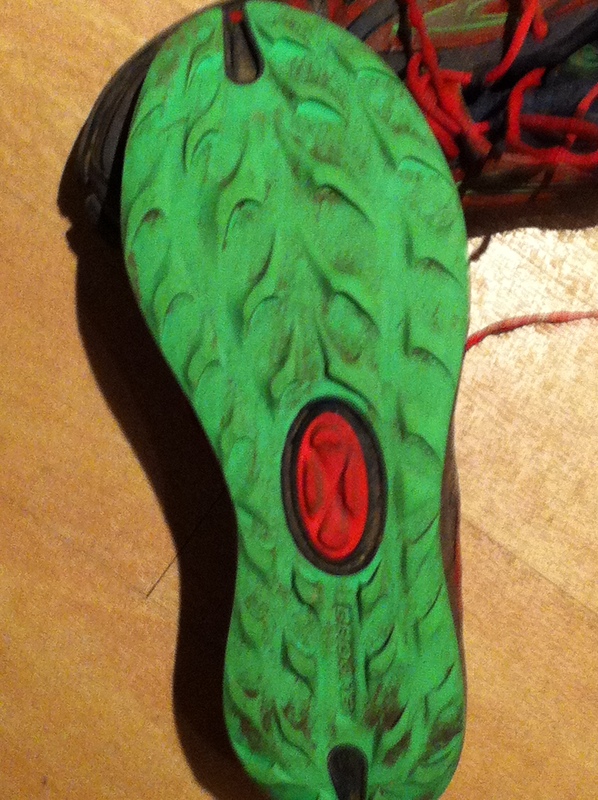 The shoes do a fantastic job of shedding water unlike any other pair I have owned. If you run through a deep puddle, the water just seems to skoosh right back out the shoe. Yes your feet get wet, but they don’t stay soaked. The other strange thing is that despite getting wet, your feet warm up again. I have tested this several times running through icy puddles in the Ochils! If there is a drawback to these shoes, it is the grip. The sole has a peculiar grip pattern and is made from a soft rubber compound which doesnt feel desperately robust. They are grippy on dry trail, and are very good on dry gravel and loose stones. In the wet they are pretty lethal on stone, wood or grass and don’t grip well at all on slick surfaces. The first time I wore them, I took them on a tour of Menstrie Glen and running down a soaked, grassy hillside in pouring rain I went on my bum spectacularly several times. 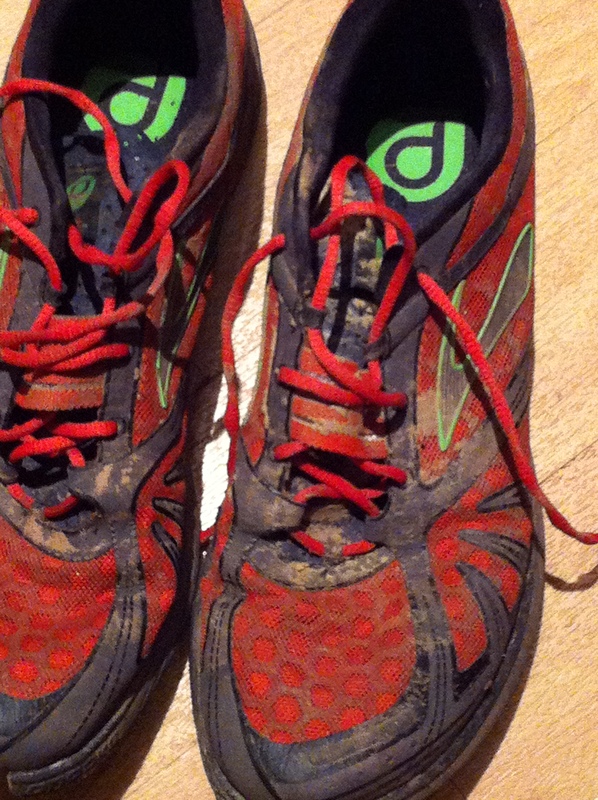 I have now run about 150 miles in mine, in bad conditions and they still make me smile when I put them on. They have been through mud, trail, rocks, water, forest and apart from making me nervous on slick surfaces have been great. They also perform pretty well on the road and don’t have that feeling of running on studs that you get wearing trail shoes on the road. A better sole has been promised for the Pure Grit 2 which is out any time now so I am looking forward to getting my hands on a pair. Finally I should say thanks to Gavin at Sweatshop Glasgow who went to great lengths to source these shoes as they are not readily available in running stores. At the moment, these are likely to be my shoe of choice for the West Highland Way, especially if the Grit 2 version delivers the promised grippier sole. Enough of a trail shoe to cope with the terrain but really comfortable to wear for many hours. If it is pouring with rain I might just change into my Inov-8s for the trip over Conic Hill though as I would prefer to limit the amount of time I spend horizontal on the way down to Balmaha.